Superdry men’s Acid Pacifica oversize t-shirt. Designed with an oversized fit this long sleeve t-shirt is a perfect everyday piece. 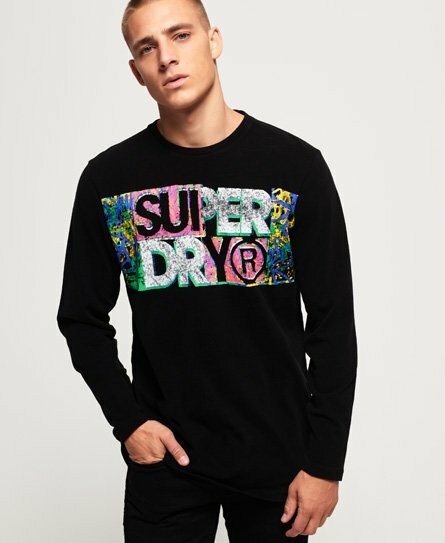 Featuring a crew neckline and a vibrant Superdry graphic across the chest and along the sleeve. The Acid Pacifica t-shirt is completed with a logo tab above the hem.